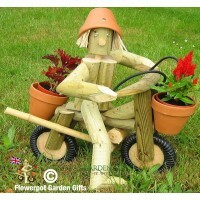 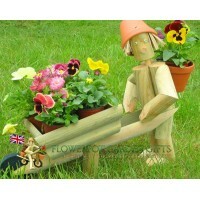 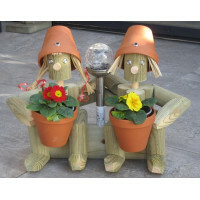 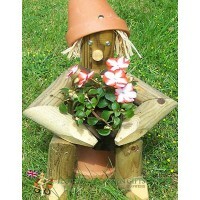 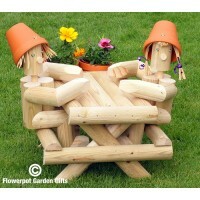 All Flowerpot Garden Gifts include Free seasonal plants adding a touch of colour to our ornamental Flowerpot Men inspired garden characters. 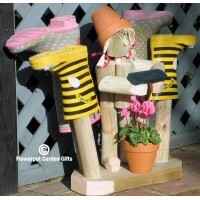 If you are purchasing a gift for "Someone Special" in your life, add a choice of a Wooden Handwritten Personalised Rectangular or Heart shape Plaque for a more permanent message and add a FREE gift card for a personalised message from you. 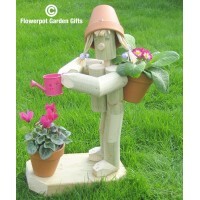 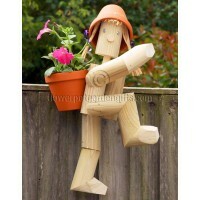 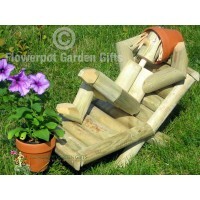 Our Flowerpot Garden Gift range of hand-crafted wooden garden ornaments are made at our workshop in Kent from specially seasoned wood that will not split in inclement weather. 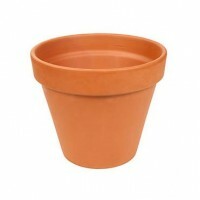 If you live in Kent or South London you may be able to collect from an outlet near you, please check out our list on the Shows and Events page.